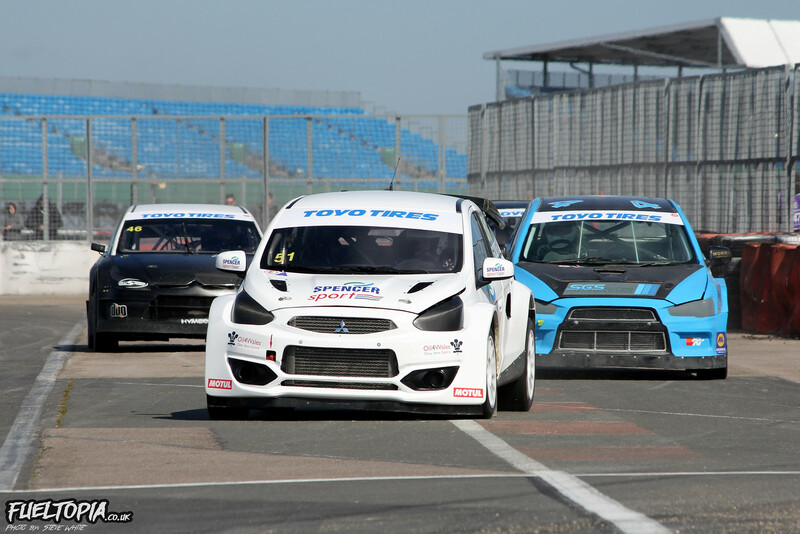 While many of you will have seen the opening round of the World Rallycross Championship last weekend, the start of the British RALLYCROSS Championship last month seems to have gone largely unnoticed. 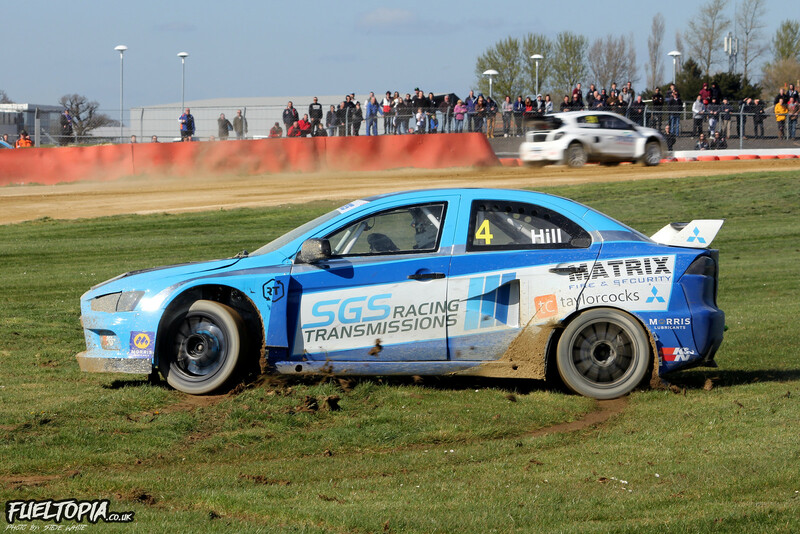 This years Championship began at the same venue the 2018 season concluded at and, although I am not a massive fan of the Silverstone layout, I was keen to get my first rallycross fix of the year. 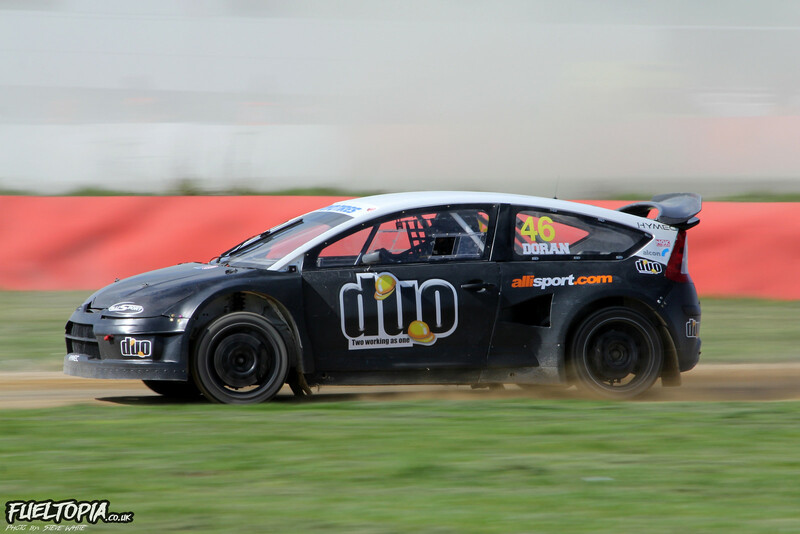 With 2019 British Champion Mark Higgins not returning to defend his title, the big question for this year is which rallycross stalwart will retake the Championship. 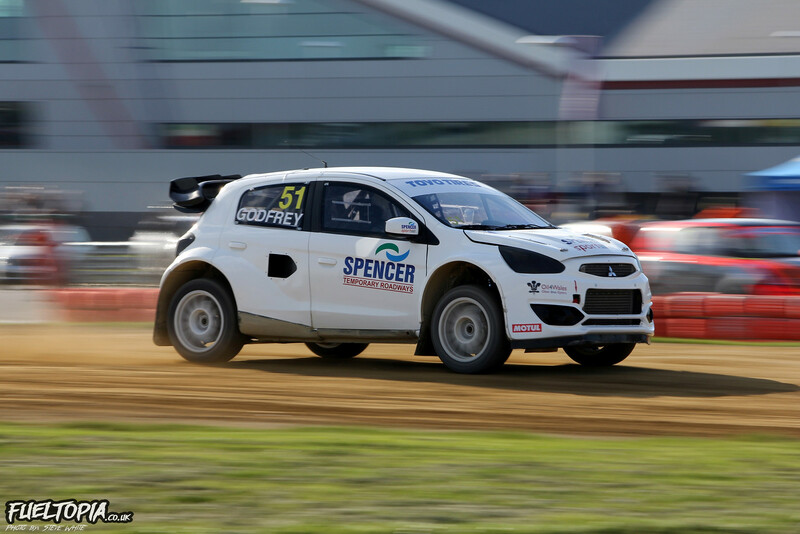 Heading the list of protagonists is five-times British Champion Julian Godfrey, who once again took the wheel of the Spencer Sport built Mitsubishi Mirage for the opening round. My first glimpse of the Mirage was at Loheac back in 2017, when the Mitsubishi was languishing in the bottom of the standings, but the car seems hugely improved since then and, although Godfrey finished the 2018 season in third, he was only two points behind winner Higgins. Also missing out on the 2018 title by just two points – but taking second overall by virtue of his better finishes – Ollie O’Donovan looked the most likely to challenge Julian. Sadly his Championship offensive got off to the worst possible start when the Fiesta developed an issue during the practise session and Ollie was forced to retire. 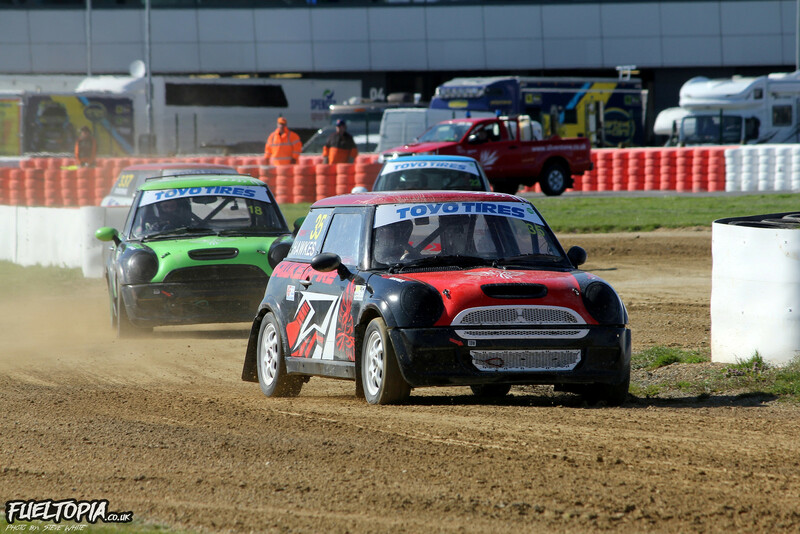 O’Donovan wasn’t the only Oliver with problems as Oliver Bennett, who had entered at Silverstone as a pre-season test of his MINI Cooper prior to the first World Rallycross round, also encountered problems during the practise session. After such a strong showing at the final British round last year it was a real shame not to see Bennett competing again. 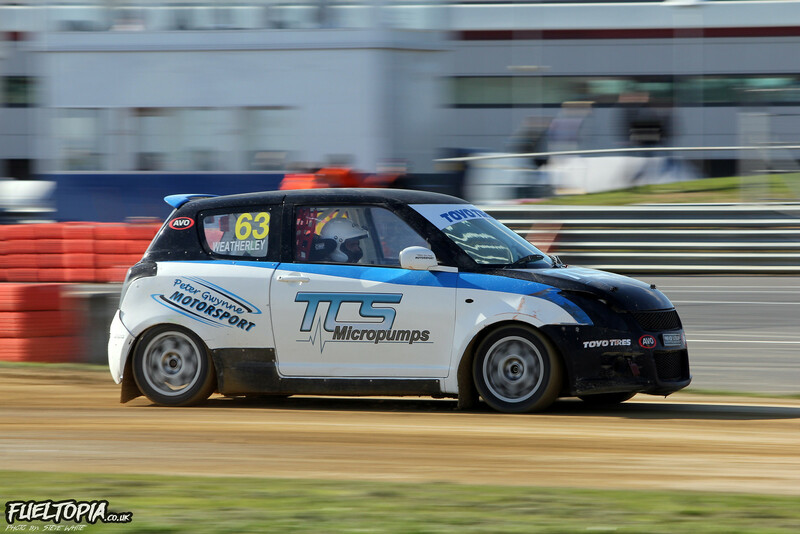 Steve Hill is another familiar name in British Rallycross and, after persisting with his Lancer Evolution X for many years, I think he is long overdue some success. The Evo X has once again been fettled during the winter and Steve is hoping to wring a bit more speed out of the car this season. Hill has had some excellent duels with Pat Doran over the years and, although they weren’t fighting for first at Silverstone, the two were close throughout the day (when Steve wasn’t taking time out to cut the grass). Tristan Ovenden has made no secret of his desire to secure his third Super National title in 2019 and, after such strong form last year, it was hard to look past Ovenden as the favourite. 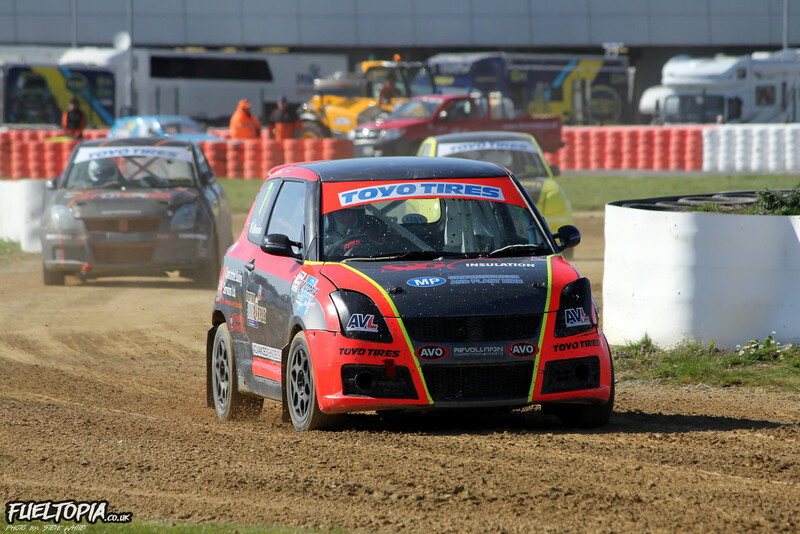 With the opening British Championship round clashing with the opening BTRDA Rallycross meet the Super National numbers were a little lower than expected, however most of the familiar names were present to try and foil Tristan. It was great to see the Championship winning Fiesta Touring Car of Derek Tohill back in action, with Peter McGarry driving the car to consistent finishes through the heats. 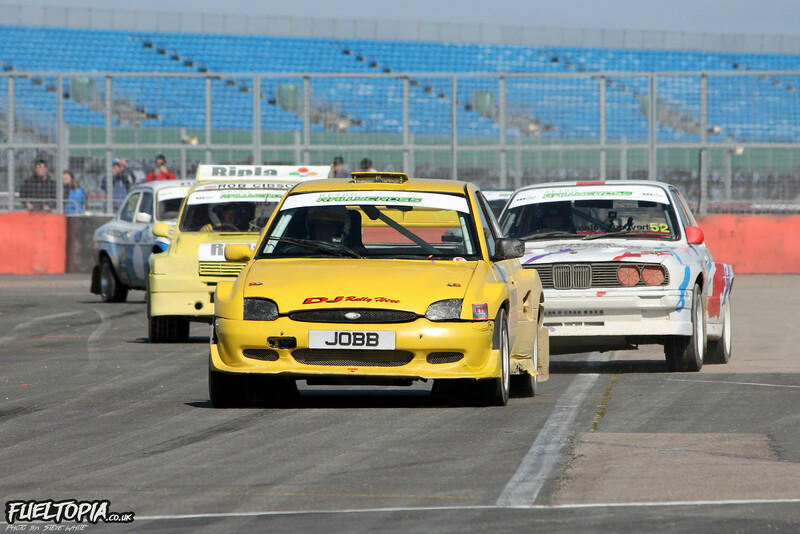 McGarry was involved in an excellent scrap with Super 1600 driver Jack Thorne during the combined Super National and Super 1600 final, with Jack eventually besting Peter to take second position. Fourth in the final went to Paige Bellerby, who was back at the wheel of the family Exige after father David took the Lotus for a spin last year. It took the opening heat for Tristan Ovenden to find his rhythm but, once he did, he headed the time sheets in heats two and three before going on to win the final by just under four seconds. Maximum points for Tristan was the perfect start to his year and, although it’s early days, his first step towards title number three. 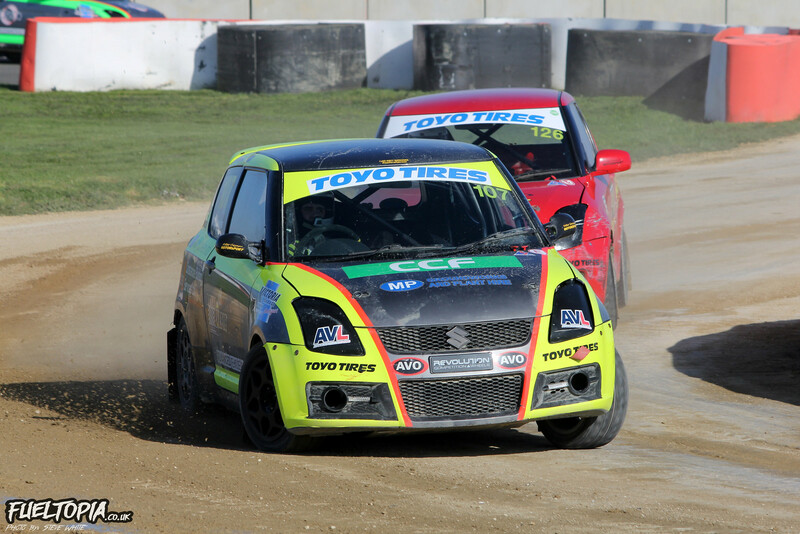 Max Weatherley claimed first blood in the opening Suzuki Swift qualifying heat, but he was unable to repeat that success in heats two and three where a fifth and fourth dropped him to fourth overall at the intermediate standings. Most consistent driver in the qualifying stages had to be Tom Constantine, who has graduated from the Junior to senior Swifts for 2019. Qualifying third overall, Tom made good use of his front row spot in the first semi-final to win the race and take the pole position spot in the Swift final. 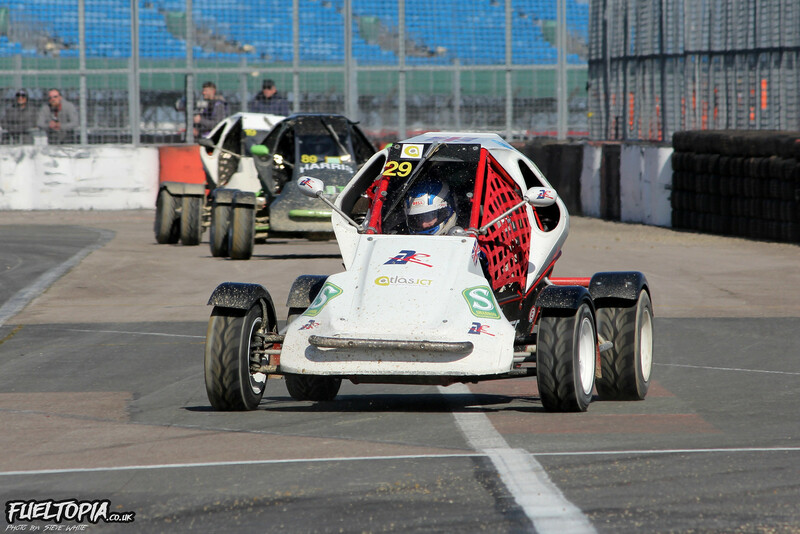 However Tom Constantine would be denied overall victory by Dominic Flitney, whose pace seemed to quicken throughout the heats. Third in the second Swift semi-final resulted in a row two starting position for Flitney in the final, but a bold passing move elevated Dominic up to first. It was an unpredictable start to the Swift Championship and, given how close the Swift Juniors were last year, it would be fantastic if we saw a similar level of racing in the senior Swifts in 2019. 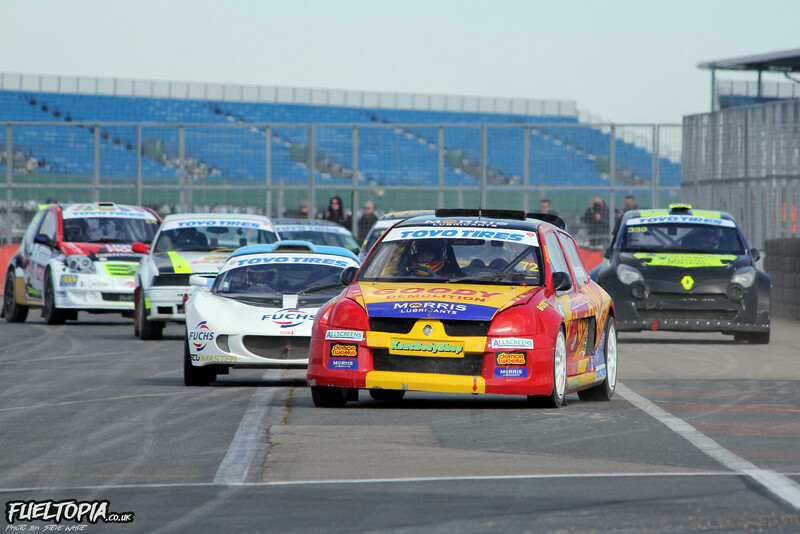 Entry numbers for the Retro Rallycross Championship were excellent at Silverstone, with a good spread across the three sub-categories (Retro, Super Retro and Retro 4WD). 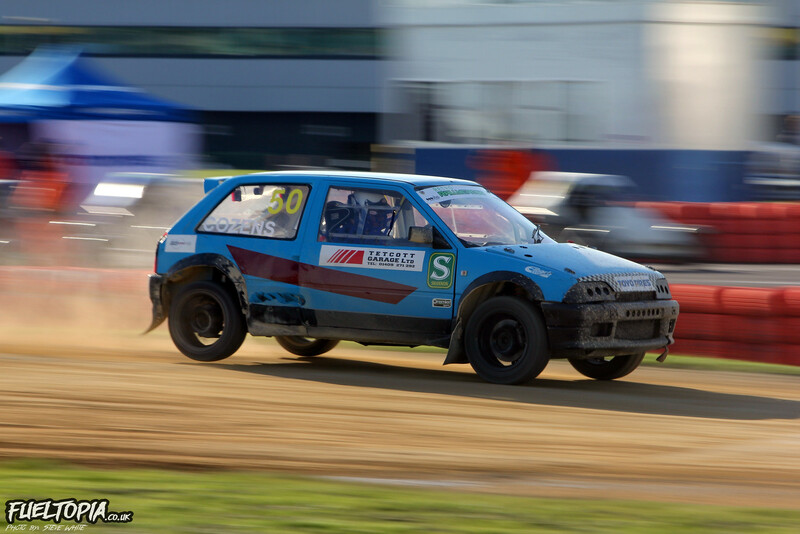 Retro and Super Retro are regular fixtures of the Championship with the Retro 4WD class set to appear at four rounds this year. The latter 4WD class was of particular interest to me as the early entry list contained four cars, two of which were Ford RS200s. Unfortunately my joy was short live as, upon arrival at the circuit, I discovered that Pat Doran wouldn’t be running his RS200 and the car of Steve Harris was plagued with issues throughout the morning. In fact the entire field seemed rather tentative in the morning and it was heat three before the class really came alive for me. After being locked away for the winter I guess the classic cars (and classic drivers!) needed a good warming up before really going for it. 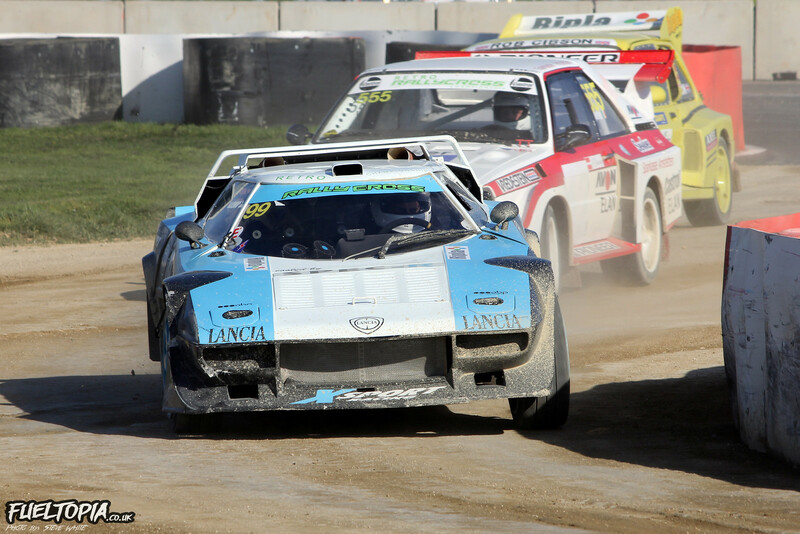 I mentioned the Lancia Stratos of John Cross in my coverage of the final British Championship round last year and John was back in action again at Silverstone. Despite an assortment of niggles, John was frequently mixing with the 4WD cars throughout the day. Unfortunately a leaking radiator slowed the car in the closing stages of the day and Cross finished sixth in the Retro final. As fantastic as the nimble Lancia looked, the most striking car on track in the Retro class – and arguably of the entire day – had to be this Herbert Breiteneder liveried Audi Sport quattro E2 replica, which made its competitive debut at Silverstone. 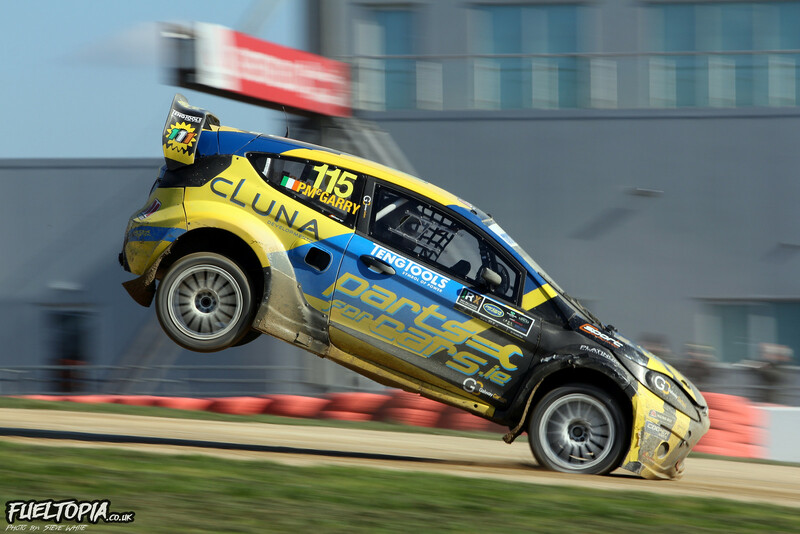 I first saw this car on display at the 2017 World Rallycross round at Lydden (where it spent the weekend suspended above the paddock entrance) but, as eye-catching as it was as an aerial exhibit, I think it looks much better on track. This quattro is a long-term project for owner and driver David Halford, with major engine and transmission changes the next item on the shopping list. Expect to see more of this car later in the year! Missing the first and second qualifying heats due to an issue with his RS200, Steve Harris started the third set of heats from the back of the grid. With the car finally performing as it should, he didn’t stay there for long and Harris immediately rocketed to the front of the pack. Victory in heat three put Steve in a more advantageous grid position for the second Retro semi-final where another absolutely blistering start saw Harris romp to victory and earn himself a place on the front row of the grid for the Retro final. 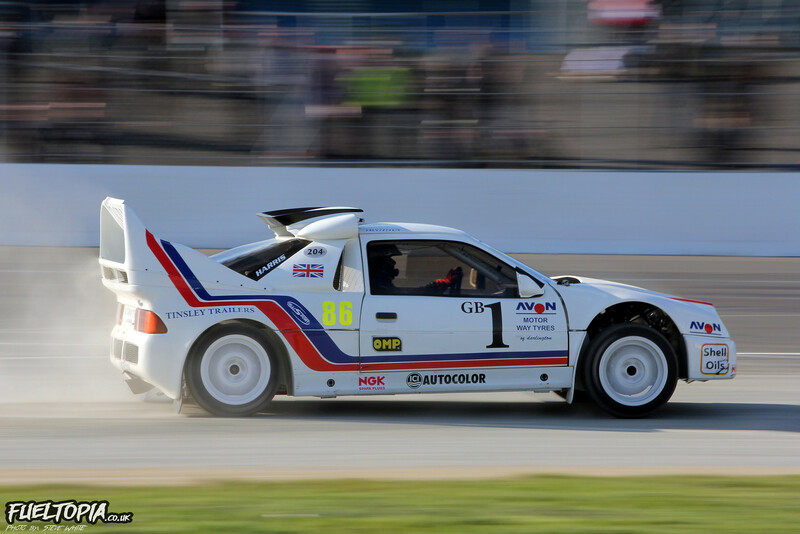 Derrick Jobb was the only Retro driver who kept Steve in sight during the final but, with the RS200 on song, Harris flew to overall victory. I was unsure if we would see the RX150 buggies return in 2019, as the class seemed to struggle for numbers last year. The early entry didn’t look particularly encouraging as just two drivers were listed in the class, however that total had risen to five on the day. 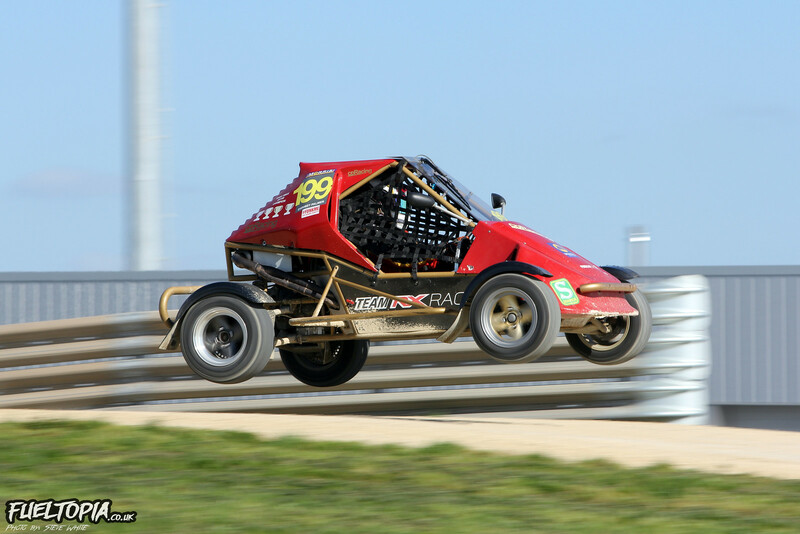 Despite the return of double-RX150 champion Marc Scott, Chrissy Palmer still looked untouchable in qualifying, comfortably beating Marc to fastest time in all three heat races. 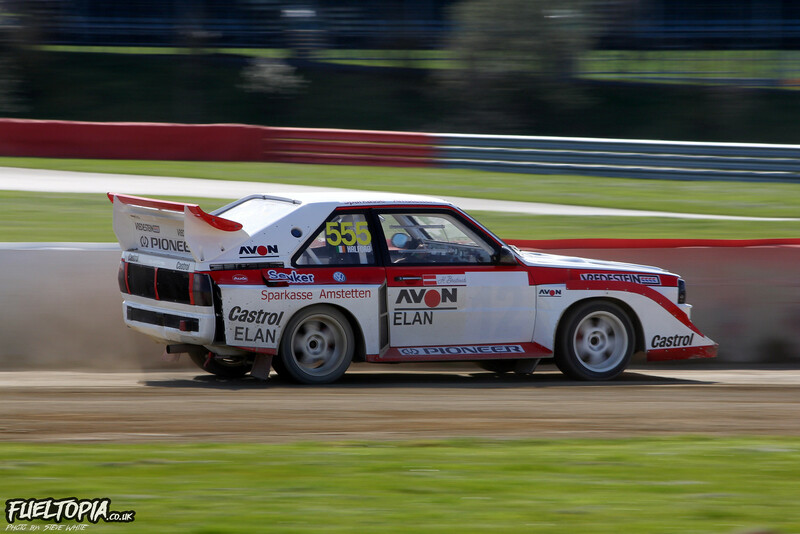 Nothing is ever certain in motorsport though and, when the lights went out for the RX150 final, an opening lap tussle between the exit of turn one and turn two resulted in Palmer being punted off the track. Chrissy managed to return to the circuit and started to reduce the considerable gap to the buggies ahead but, despite considerable pace, it was too great of a deficit for even Palmer to close down. Brett Harris was the first RX150 to pass the chequered flag but, with Harris forgetting to take his joker lap, the win was awarded to Marc Scott. It was a fantastic return for Marc but, unless he can find some more speed, I think he is going to struggle to beat Palmer in a straight fight. 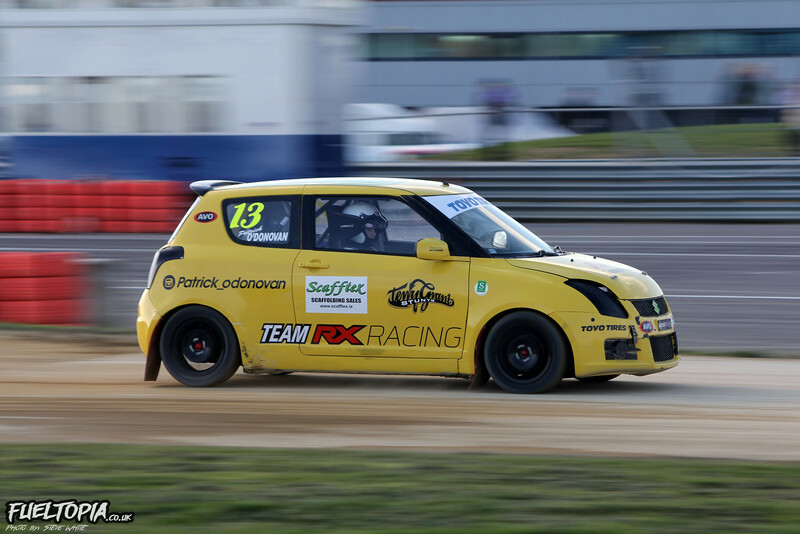 The Junior Swift Championship delivered some of the closest racing of the 2018 British Rallycross Championship and, with three new additions to the line-up in 2019, I was hopeful for more of the same this year. Luke Constantine started his day with second in the opening qualifying heat, before winning heats two and three. Roberts Vitols, one of the aforementioned new arrivals, was the strongest challenger to Constantine, with Vitols placing second in heats two and three. After such a strong performance in the heats, Luke looked the favourite for victory in the final, but there was almost a last minute upset by Patrick O’Donovan. O’Donovan had made a clean start when the lights went green and, while Constantine took his joker and fought with early leader Roberts Vitols, Patrick was free to concentrate on putting clean laps in. Saving his joker until the last lap, O’Donovan emerged from the joker with Constantine bearing down on him. Despite a big push Patrick was unable to stop Luke inching past just before the Swifts crossed the line. The pair were separated by just 0.038 of a second which is the closest finish I can recall in the Juniors and an encouraging sign that the class will deliver again this year. 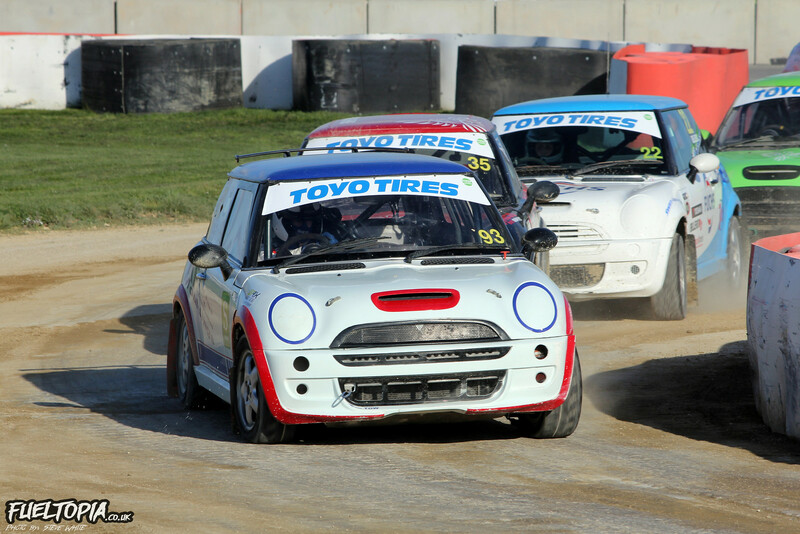 The BMW MINI class had a massive resurgence in 2018 and, along with the Swift Juniors, provided some of the tightest competition of the season. Drew Bellerby, Martin Hawkes, Andrew Hawkes and James Osborne all jostled for positions in the heats, with Drew posting second fastest time in heats one and two, while Martin Hawkes secured second in the final qualifying heat. Although the mid-pack battles were unpredictable, one name consistently headed in the timesheets in the MINI class: defending Champion David Bell. 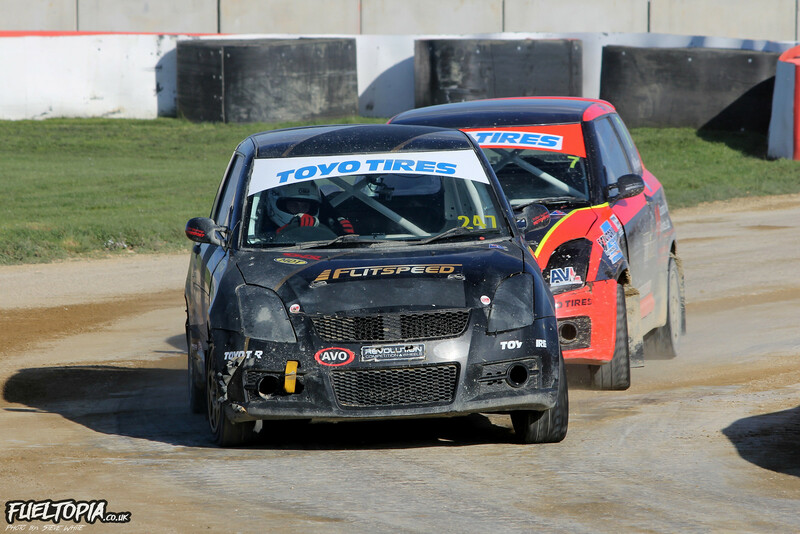 While Drew and Martin continued their scrapping in the final, Bell pulled clear at the head of the field to complete a perfect day and take a maximum haul of Championship points. Bellerby eventually won the battle for second and Martin Hawkes completed the podium. With Ollie O’Donovan and Oliver Bennett out of the running early the rest of the British Supercar contingent were left trailing in the wake of Julian Godfrey, as no one seemed able to match either his speed or consistency. 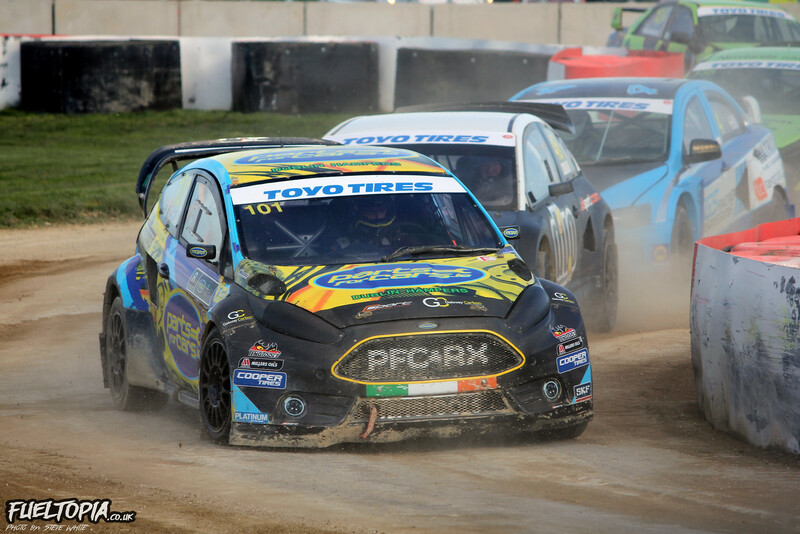 The only real threat to Julian came from triple Irish Rallycross Champion Derek Tohill, who was a surprise addition to the opening British Championship round entry. Tohill definitely seemed to have the speed, but his driving was a little more flamboyant than Godfrey meaning Derek was unable to prevent Julian from taking a clean sweep in all three qualifying heats. As top qualifier Godfrey occupied the pole position spot for the Supercar final and it was clear that Tohill needed to beat Julian into the first corner to have any chance of stopping him. Derek is no slouch off the line but, with the car setup seemingly spot on, the Mirage absolutely shot away from the line, leaving Tohill to slot into second position as the field exited the first corner. With the rest of the pack stacking up behind Derek, Julian began to edge away as Tohill defended his position. By the time Derek had enough breathing space to begin pushing forward, Godfrey had already extended enough of a margin to remain out of reach for the duration of the final. The lead pair were never separated by more than a few seconds, but it was a decisive victory for Godfrey, with Tohill unable to narrow the gap enough to challenge. Behind the leaders Pat Doran and Steve Hill continued their day-long duel, with Pat eventually claiming the final Supercar podium spot. Doran and Hill are far from the youngest competitors out there, but the pair don’t seem to have lost any of their enthusiasm on track. 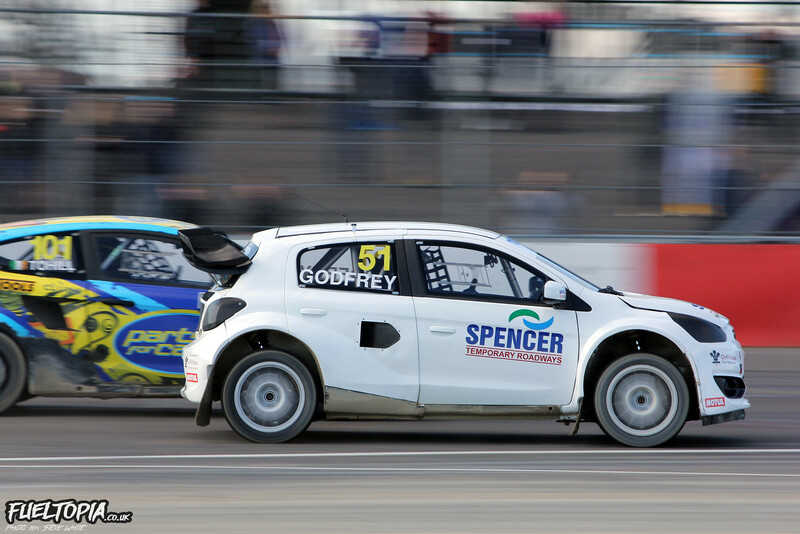 Round two of the Championship takes place at Lydden Hill at end of the month with current point leader Godfrey reverting to his title winning Mk.6 Fiesta. 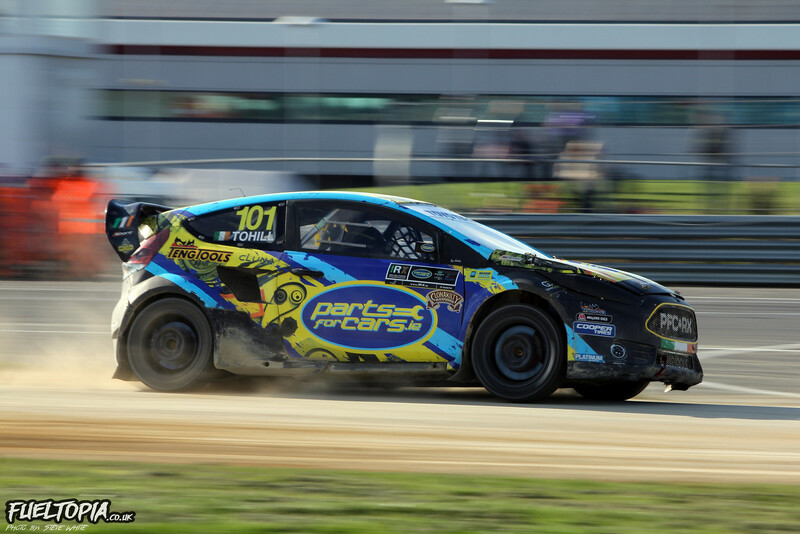 The Fiesta hasn’t been in action for over a year now and, with the rest of the British field making clear advances, it will be interesting to see how Julian fares back in his old chariot. I also have my fingers crossed that Tohill will be back for a rematch! 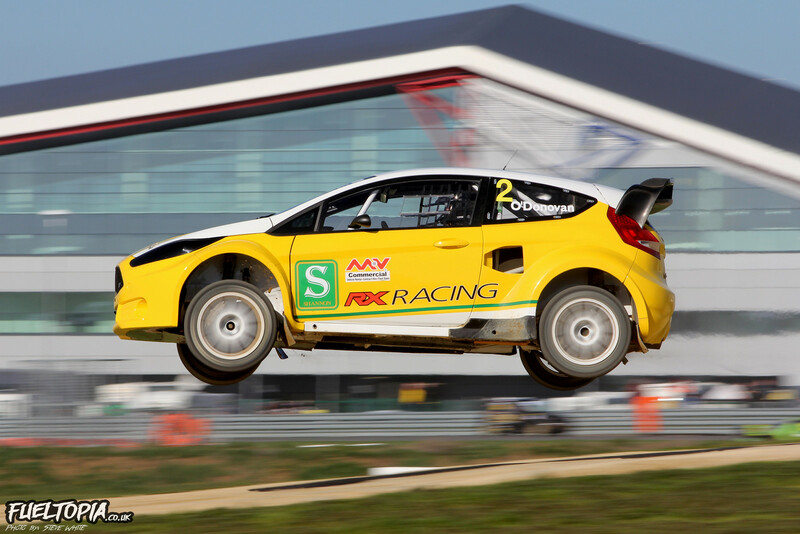 Want to see more of the British Rallycross Championship at Silverstone? Click here for a full image gallery.